One day left to vote for your favorite Pennsylvania Darkride! So vote on the right hand side of the page! Here you can see some of the differences from pre-removal of Demon Drop, Space Spiral and Disaster Transport. Not a perfect match, but you get the idea. This one came out after and before, my mistake. No, Space Spiral was not tipping over (poor shot on a beautiful day) as it did in the following video. Which would you take, better photo quality on a poor weather day for photo taking, or not so good leveling on a photo on a really great weather day? Trade offs, trade offs. It would have been cool to see Gatekeeper circle around both Demon Drop and Space Spiral similar to Gold Striker at Great America with their observation tower or Tatsu at Magic Mountain with their tower. Always sad to see classics go, but that is progress. If you loved Demon Drop, or any of those wonderful first generation Intamin drop towers, get to Dorney Park. I feel this is the best feeling of true free fall, true zero gravity. 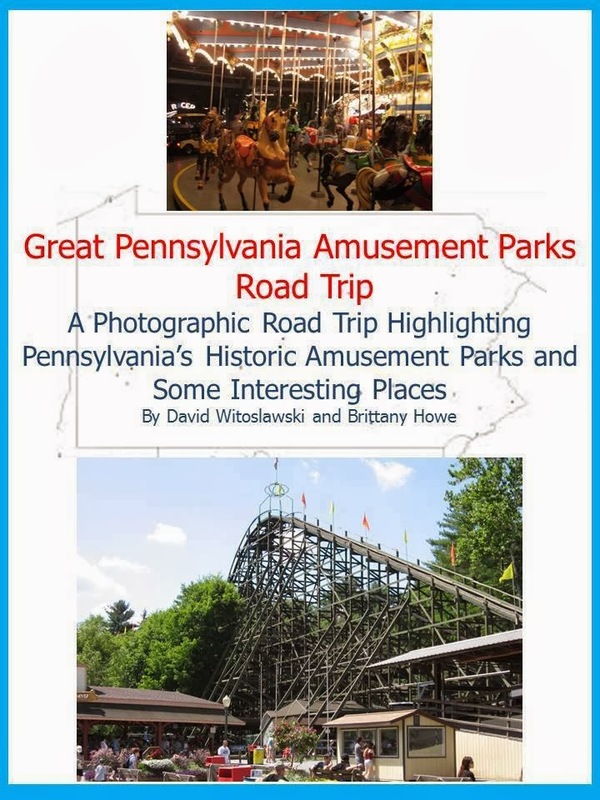 If you are interested, as an appreciation for making our community what it is, we are running a deal until tomorrow (Wednesday) for the print version of our "Great Pennsylvania Amusement Parks." We will take it from $21.95 plus shipping to a flat $16.00, saving $5.95 off of the original price. Instead of ordering through the dropdown menu, Paypal a flat $16.00 to greatpaparks@gmail.com with your shipping address and your preference on if you would like a free Conneaut Blue Streak or Lakemont Leap the Dips ticket. A portion of the proceeds go to those parks. I did not include all of my photos of the "Mr. Rogers Neighborhood" ride in the book because I did not want to spoil the surprise for folks that had not rode it yet but I guess I can let the cat out of the bag. This news was disappointing for me in that Mr. Roger is one of my all time heroes and someone who really helped to sculpt my childhood. I realize there comes a time for a change. Mr. Rogers is hardly played, if at all, on Public Television anymore and a new generation of kids is out there now who does not know who he is. The ride's props are being replaced with those from a current kid's show that is made by the same company that produced the Mr. Roger's Neighborhood TV Show. Changes occur and this is a children's park. I do think some things are timeless such as cute characters on a ride through or walk through thing, but it all comes down to things that are popular for the kids these days. 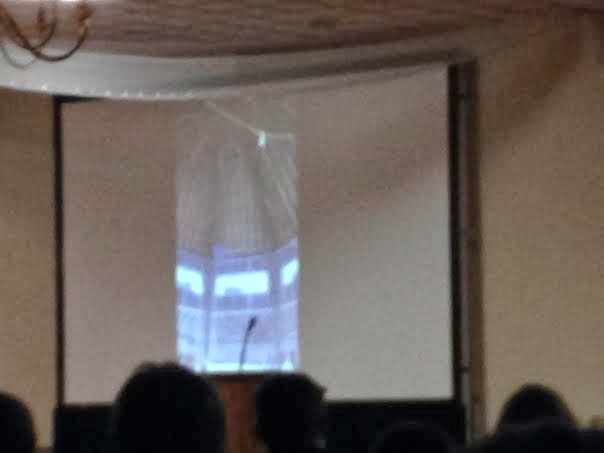 I understand the need for change and Jeff from Idlewild explained it perfectly at Coasterbash this weekend. The Mr. Roger's Neighborhood ride is honestly the only ride I can say that brought me to tears of happiness. It was so wonderful and a look back into my childhood. We approach our first stop on the journey, King Friday's Castle. The characters on this charming journey all had the original voices done mostly by Mr. Rogers. King Friday invites us to his royal "Hug and Song Party" and asks us to invite everyone else to the royal gathering. The entire journey occurs in the beautiful backwoods of Idlewild. X the Owl was "on vacation" according to our narrator. I would assume that one of the reasons why this attraction is being replaced is because several of the characters had gone into disrepair. Blurry shot in motion. Lady Elaine Fairchild's place of residence. I lost it at this scene. I had tears of joy in my eyes when it got to the end. It reminded me so much of childhood. I hope they can find a way to preserve some of this in a little display as a tribute or something. This was designed with the input of Mr. Rogers. We talked with Rick Sebak during the creation of our book about working with Mr. Rogers and he talked about the joy creating this attraction brought to Fred, a man who touched the lives of millions of young folks during his time creating the show. The world needs more folks like Fred Rogers that do not just serve as entertainment on television, but as an extension of parents and teachers. This was the beautiful goal that Fred Rogers dedicated his life to. His goal was to inform and give children an example of how to act in a civil way and to help learn basic skills when it comes to managing your life as you grow up and ways to handle feelings and emotions in a more mature way. Mr Rogers did not just create a TV show, he almost created another classroom and served as both another teacher and another parent. The work he did is unparalleled and TV shows for children need to get back to the example he set. It is is disappointing to me to find out that the Mr. Rogers attraction is heading out and that fans of the ride did not get a warning it was going, but there always comes a time for a change. "Daniel the Tiger" is an extension of Mr. Rogers and hopefully the new attraction will bring the same joy to children today "Mr. Rogers" has for earlier generations. Print versions are also still available using the dropdown menu on our page, through visiting any of the fine stores that carry our book and through Amazon. With any purchase I will send a free ticket to ride the Conneaut Blue Streak or Lakemont Leap the Dips since a portion of the proceeds go to help those parks. If you purchase the print book on our page I will send a ticket with the book. If you purchase the print book somewhere else, send me a scanned copy of your receipt and your mailing address and I will send you a free ticket. If I can get to a coaster construction site reasonably I will go and take a look. Skyrush was a project I was very excited about. The more the track came in the more I became interested in the project. The original No-Limits POV video did not give me a good vision of how things would turn out. The more and more the double spine track started showing up, the more I became excited. On the way to my parent's house from Pittsburgh to the Lehigh Valley for the Christmas in 2011. Thanks to our friend Brandon for pointing that out, I recall stopping by to see it done at Easter. I am coming off of anesthesia today from my surgery so I am a little foggy right now. I took a detour to check out the construction. It ended up adding about 45 minutes to the trip but it was totally worth it. It is always worth a look to see a park skyline change. It was a foggy day and this was my first view of the ride. It looked giant considering that at this point the ride was already taller than most of the coasters at the park. It is always stunning to see a new coaster going up. The Stengel Dive looked pretty cool. Closer up shot. It was pretty lousy weather that day but it miraculously stopped raining when I got near the park. It was raining heavily though prior and the creek was very swollen and over its banks in places. I was concerned about the workers and the construction site since earlier in the project there were heavy floods. The dam and redirection of the creek held though and the Iron Workers were able to continue. The construction site was hopping. The trucks were shuttling back and forth between the staging area on the lawn of the Milton Hershey School and the construction site. Meanwhile, they were doing some work on the first drop area. you may notice the slight mistake they made in painting the lift support with yellow. This would be rectified shortly. Seeing Comet and the carousel back there is getting me excited for the summer season. I am glad I took the detour to see this construction. It is not every day you get to see something get built that dramatically changes the skyline of a place. This man was doing some finesse work on the ride. I have not gone back there since the ride was built and looked at this spot. Did this end up being a trim, proxy switch or a mount for a possible trim later on? I can see old Barney the Dodge Stratus sitting in the center of this shot. I no longer have that car but I have to say that it was actually pretty decent. Cinnamon says it is time to go! So it is time to go! The track staging area was humming with activity and you can see the lift hill pieces were patiently awaiting a ride from the truck. Skyrush was a work in progress throughout its first partial operating season. It would turn in early for the first season for work and adjustments. For the second season the lift cable was significantly slowed down. We will see if operating season number three for Skyrush offers any more changes for the ride. From a different set, but if you looked to the left in the first shot, you would see this view of Laser. Possessed (then Voodoo) operated for one season with Laser. It was no secret that Laser was on its way out at this point. For two or three years the ride was up for sale on ITAL International along with brother 80s ride, Demon Drop at Cedar Point. We all know how this ends up. I really miss Laser. We need another intense Schwarzkopf within driving distance of the Northeast. The two constants in all of these shots are Steel Force and Thunderhawk. Steel Force is clearly the star of this shot, taken during at sunset during the holiday season. There goes my random for the day! Don't forget to vote for your favorite Pennsylvania Darkride on the side of the page! Print editions are still available using the dropdown menu on this page, at any of our listed stores and through Amazon. Any purchase made on this page will have a portion of the proceeds go to support Conneaut Lake and Lakemont and you will get the choice to get a free ride ticket for Blue Streak or Leap the Dips. If you purchase through our page I will send it with the book. If you purchased the book anywhere else, send me a photo of the receipt and I will mail you a ticket of your choice. B&M with 20 of the 47 favorite coasters with the oldest of them in the poll being Raptor at 20 years old. 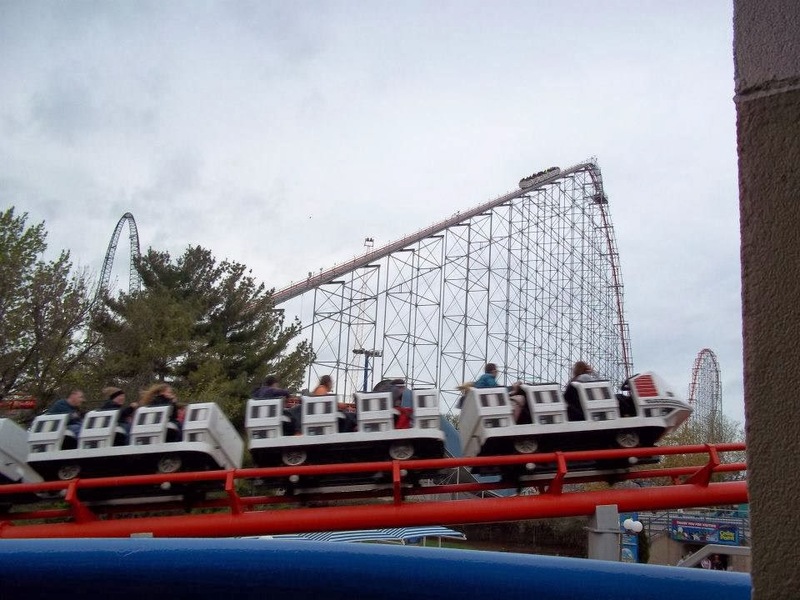 Intamin with 13 of the favorites and the oldest in the poll being at tie between Millennium Force, SFA Superman and SFNE Bizarro (Superman) at 14 years old. 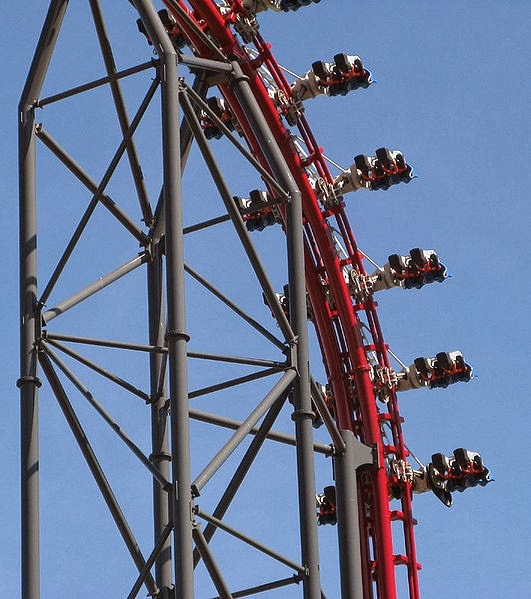 Arrow with 5 of the favorites, showing that the investment in a roller coaster is something that will last for generations. Except for X2, the other rides mentioned as favorites range in age from Magnum being 25 years old at the youngest to the Matterhorn Bobsleds being 55 years old. After many decades these coasters are still favorites, especially Magnum, the second favorite coaster of this informal poll. Morgan and Premier both had 2 favorite coasters. 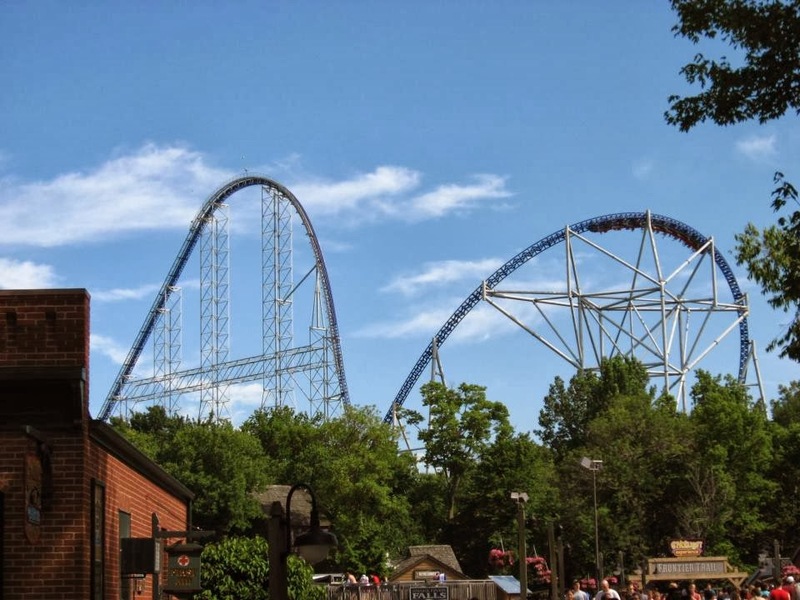 With 24 favorite votes, Cedar Point's Millennium Force is far and away the most favorited coaster in this poll. 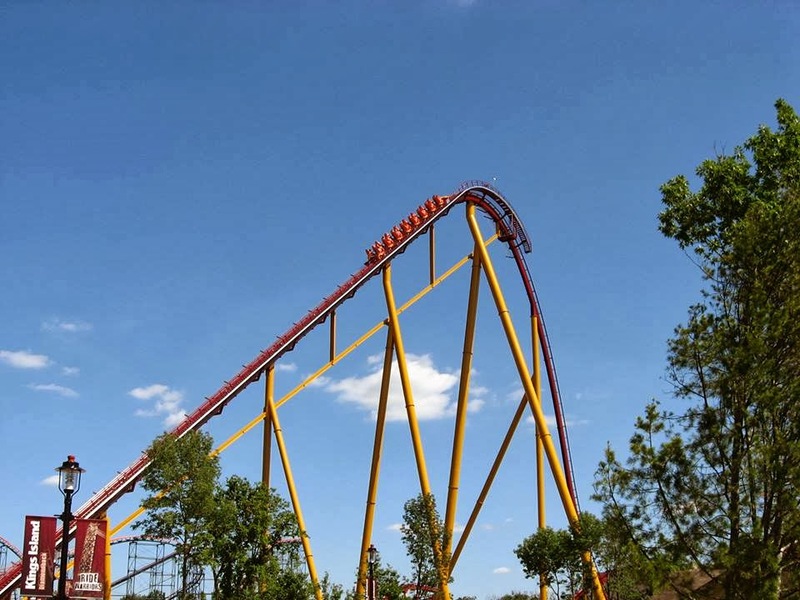 Kings Dominion's Intimidator 305 was the 3rd favorite coaster with 11 favorite votes. Photo credit to our friend Park Connoisseur. 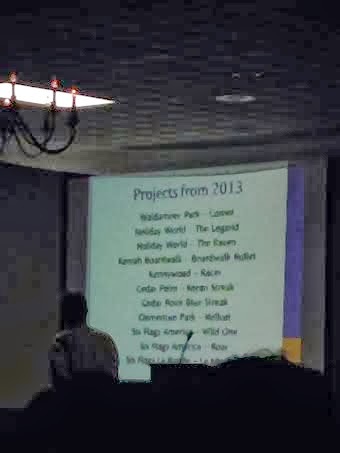 The cliff diving Kennywood Phantom came in fourth with ten votes. There was a two way tie for sixth between Kings Island's Diamondback and SFNE's Bizarro with six favorite votes a piece. Busch Gardens Williamsburg, Hersheypark, Kings Island, Disneyland and Six Flags over Georgia with two favorite steel coasters each. 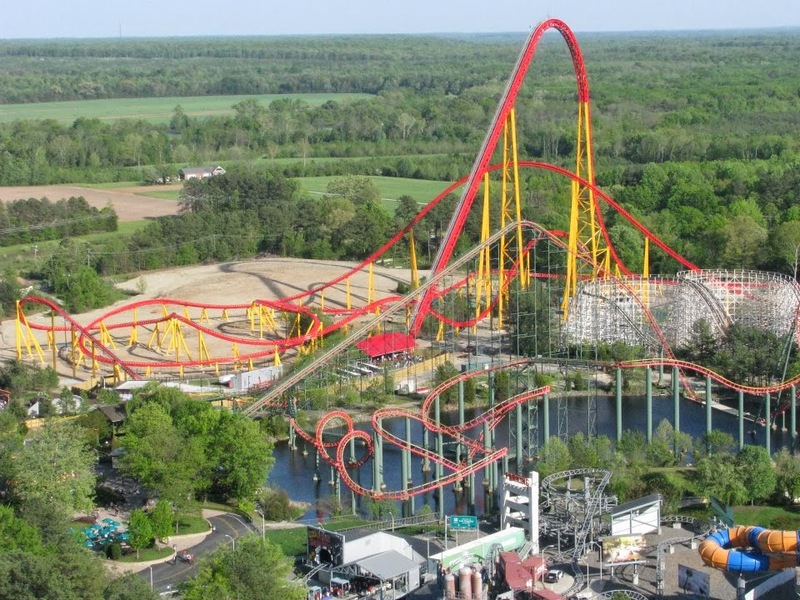 Dorney Park, Islands of Adventure, Universal Orlando, Sea World Orlando, Mirablandia, Kennywood, PortAdventura, Six Flags Over Texas, Six Flags Great Adventure, Six Flags Great America, Six Flags New England, Walt Disney World Magic Kingdom and Holiday Park with one favorite coaster each. I think this list creates a nice to-do list for parks. The other thing to take away is that between this and our wood coaster poll, no matter what park you go to, you will find an excellent coaster. This was just a top three. If the list were expanded to top ten, I would imagine even more parks and even more coasters at these represented parks would be chosen. Be happy with what you have in your area parks. Each park has something special. It is great if you get the chance to travel, but no matter what park you go to, all parks have something special about them and likely a pretty decent ride. Print editions are available using the drop down menu on this page, at any of our listed stores and through Amazon. Any purchase made on this page will have a portion of the proceeds will go to support Conneaut Lake and Lakemont and you will get the choice to get a free ride on Blue Streak or on Leap the Dips. If you purchase it on our page I will send it with the book. If you purchased it anywhere else, send me a photo of the receipt and I will send you a ticket of your choice. Yesterday afternoon and evening we had the privilege to enjoy the great Coasterbash in the South Hills suburbs of Pittsburgh. The event was wonderful with park representatives from Delgrosso's, Conneaut Lake, Waldameer, Idlewild, Kennywood, and Six Flags Great America plus Tom Rebbie from PTC. The representatives were wonderful. I did not go to take pictures so excuse the quality and quantity of them. DelGrosso's came and told us about the flat ride they were teasing. It will be a brand new Musik Express. They also talked about the events they have planned for the year and their expansion of their already awesome food lineup. If you have not checked out this park, I recommend taking the trip. 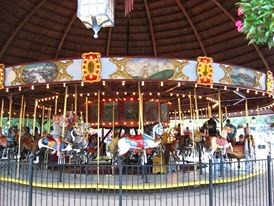 They have a plethora of fun rides, including an awesome carousel, they run great events, and have some of the best food around. The same family that owns DelGrosso's tomato sauce also owns the park. 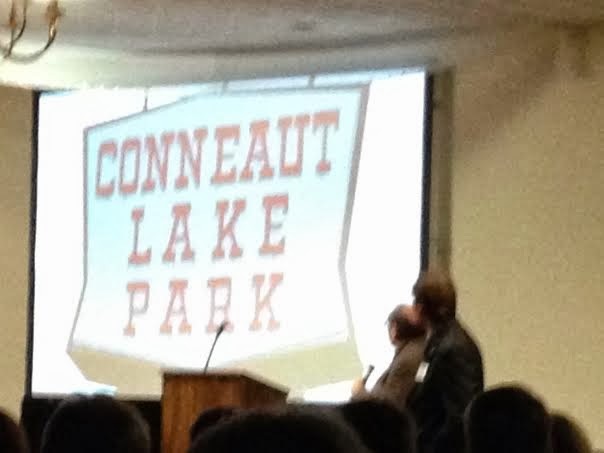 The next park up was Conneaut Lake Park, represented by Lenny Adams of Adams Amusements and Jack Moyers, the chairman of the board of Trustees. The outlook is positive. The park will open this year and they have many great events planned out. The job fair for the park will be on May 3rd this year. They will also be holding an Easter Egg Hunt for the kids prior to the park opening. The park opens to the public on May 23rd and will have a number of cool events including the ever popular Ghost Lake Halloween event and the carousel organ gathering with folks taking a bunch of organs and playing them at the park. There will also be events such as an antique car and transportation show and more. 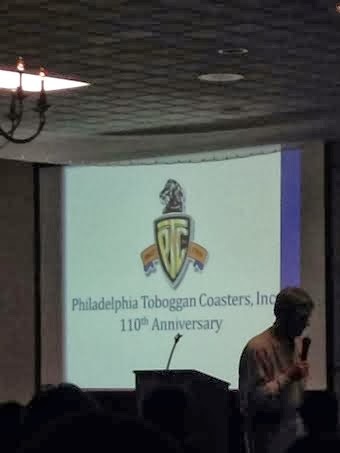 Tom Rebbie from PTC was there and talked about the same things he did at Eastcoaster. They are busy in the shop making new trains and revamping many others. 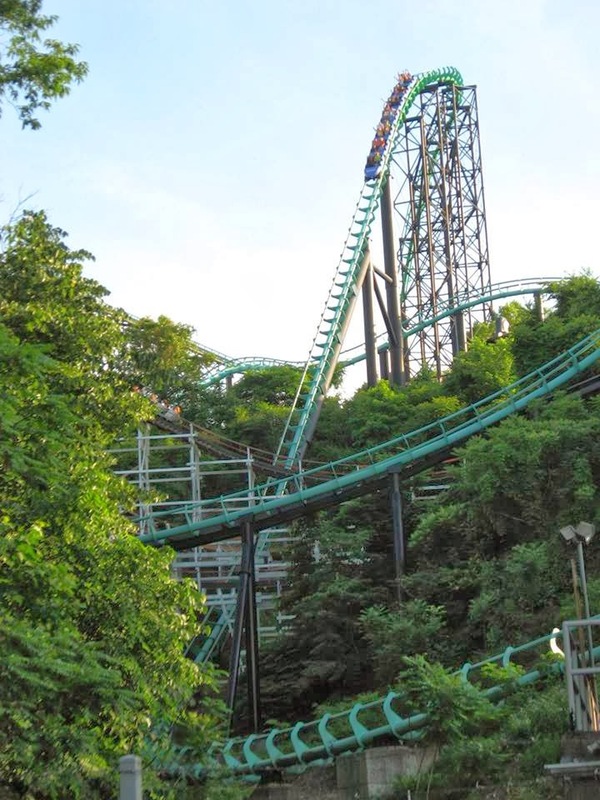 As we talked about before, the Kennywood Racer trains were fully revamped over the last few years, fitting in with the park's theme of taking great care of their wooden roller coasters. They have rebuilt over a third of both Racer lift hills and done other aggressive work to the other wooden roller coasters. Rebbie's revamp of the Racer trains over the last few years is now complete. PTC has also revamped both the Mean Streak and Blue Streak trains. Blue Streak will have a big 50th birthday bash at some point this year at Cedar Point. They are continuing their great revamp plan for the ride. 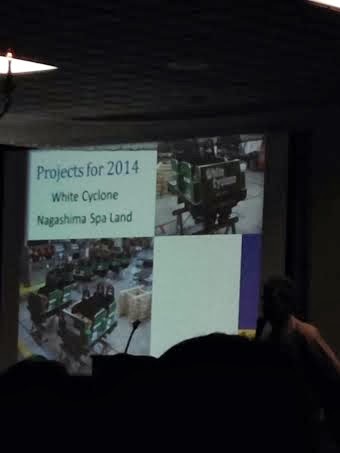 The White Cyclone is a massive traditional wooden coaster that was actually built by Intamin in 1994. It is 5577 feet, making it the third longest in the world after the Beast and the Voyage. They ordered new trains in 2004 and ordered new trains again for this season. They are very cautious with their trains and I would imagine that regulation has something to do with it as well. This park is also home to Steel Dragon 2000, a huge Morgan creation, that lost a wheel from a sheared axle in 2003. The coaster stood standing but not operating for three years after that. I would imagine the park is super cautious after that accident. Last year they actually replaced the original Morgan trains on Steel Dragon 2000 with a brand new set of B&M trains. I am not sure if they have strong regulation in Japan or if it is for public perception. The Intamin Thunder Dolphin at a park in Tokyo threw a bolt in 2010 and did not reopen until this past August. We also heard from Jeff Croushore from Idlewild. He is quite a character, having delivered his whole presentation in the style of Mr. Rogers, completely doing the skit of walking in, changing his sweater, changing his shoes, doing an introduction, feeding the fish and talking to "picture-picture." It was extremely entertaining. Expect a surprising announcement from them in the near future. Jeff Filicko from Kennywood was a character as usual as well. 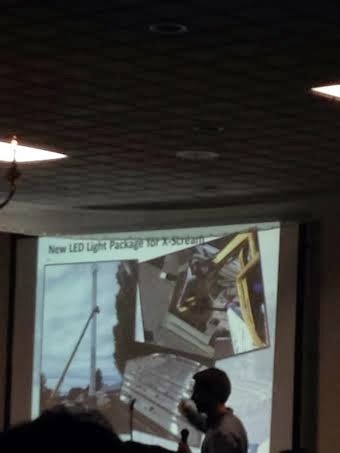 He gave us updates on the small improvements the park is getting this season. 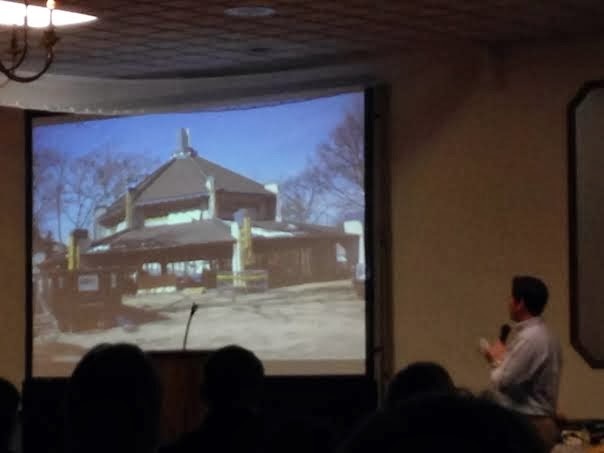 The biggest thing is the conversion of the original carousel building into a sit-down restaurant. It will be a Johnny Rockets. I think another popular choice they could have put in would be a Primanti Brothers or something along those lines, but I digress. 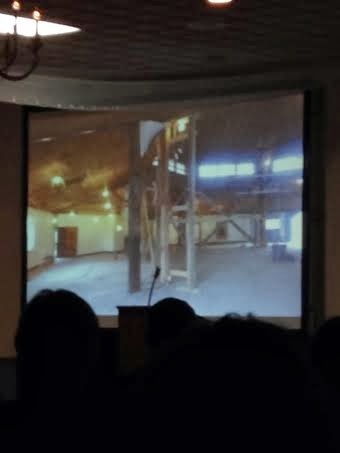 The beautiful old roof will be preserved and open, creating a nice and bright setting. The other big improvements include the new headlights on the Thunderbolt trains and the great work they are completing with the aggressive care plans they have put in place on the wood coasters. The next generation of the Gorman family presented for Waldameer. He talked in detail about all of the park improvements for these season including the usual and awesome retracking work on Ravine Flyer II, the breathtaking LED lighting package installed on the drop tower and the fantastic bright colors they have painted onto the waterslides. If you look at some of our previous posts you can see just how spectacular the work they have done on their rides is Their maintenance should be the envy of the industry, the example everyone should follow. You never see faded or flaking paint at this park. Every year you go you are guaranteed to have a better experience at Waldameer than the year before. They have an aggressive waterpark expansion plan that you will hear about in the future. Think huge. It will be spectacular and expanded into the current parking lot. They are expanding the parking lot into the land of the hotel that they recently acquired. Six Flags Great America drove 8 hours to be at the event. The presented their fantastic looking new coaster, Goliath. I believe they revealed the name of the RMC named inversion, "Zero-G Stall," their take upon the Zero-G-Roll. All in all it was a very fun event with lots of food, great vendors and great people. 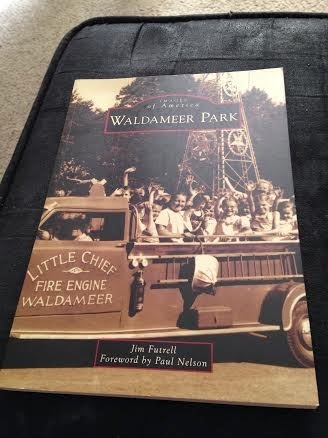 Best of all, Jim Futrell and I traded books with him getting our "Great Pennsylvania Amusement Parks Road Trip" book and us getting his new Waldameer Book. His book looked great leafing through it. I cannot wait to sit down and read it because it looks great. I love Conneaut Lake! Please help save the park!